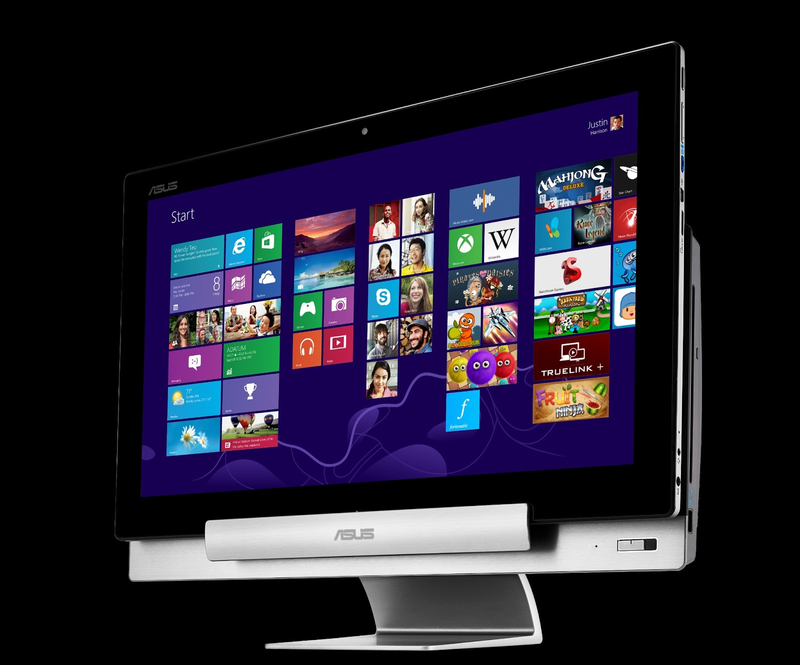 CES 2013: Asus show off VivoTab and the Qube Google TV box! The Transformer All-In-One coming soon! Outwardly Asus' latest tablet computer has an uncanny resemblance to Microsoft's Surface tablets, but under the hood it's quite a different story! Firstly, this device is running full Windows 8 and it's powered by one of those trusty Intel Atom chips. In this case it's the Z2760 dual-core processor which commands what appears on a 10.1-inch, 1366 x 768 pixel resolution IPS screen! If you opt for this computer though you'll also get the 'TransSleeve' which is able to work as a wireless keyboard, a cover and a stand, all in one! The rest of the specs include 8 and 2 mega-pixel cameras back and front respectively and NFC too, which is a nice addition. We expect that if you've been holding out for a Surface Pro, you might have your attention swayed by this device because with the Surface Pro and this device you'll get a full version of Windows 8 instead of Windows RT! 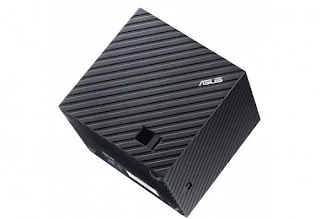 The Asus Qube: Google TV in a funky form! Before CES started ASUS promised us that we'd see a Google TV from them at the event. Lo and behold here is the Asus Qube, it's an intentionally named device that has both an outwardly cubic appearance and its interface is said to match that design language. The Qube will give you easy navigation to live, on-demand, web, and other forms of content that Google TVs offer. You control this particular box with a motion-control remote, unless you have an Android phone or tablet in which case you can find ASUS’ Mobile Remote app in the Play Store and use that instead! Asus is promoting the Qube interface, which is surprisingly simple, but it also sounds like a good idea too. Essentially you will see all of the features of the Qube on panes of various rotating cubes. So you will have your Netflix, Amazon Instant Video, and Google Play content all spinning around ready for you to hit play on one of them. At the moment ASUS hasn't offered up and hardware specifics, but the FCC filing for the device suggested that a Marvell ARMADA processor was on board. We're also expecting to see and assortment of USB, Wifi and HDMI options and there may be room for a Bluetooth connection to give you another means of controlling the Qube. Seeing as this is an Asus device they've also opted to give you 50GB of cloud storage! The Asus Transformer All-In-One: Android and Windows 8. Coming soon! We first heard about this Transformer AiO last year; it was the first computer to promised both full Windows 8 and full Android support. 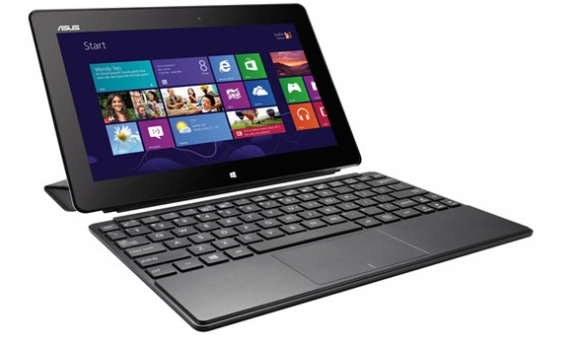 Indeed, this tablet has both the Intel processor to power Windows and an Nvidia Tegra 3 chipset to drive Android 4.1! The device comes with an 18.4" full HD display and the screen detaches so you can journey with it around your house, but it definitely isn't meant to be carried around in your bag! Unfortunately there's no word on pricing or availability, but when we do hear about it we shall update the post!